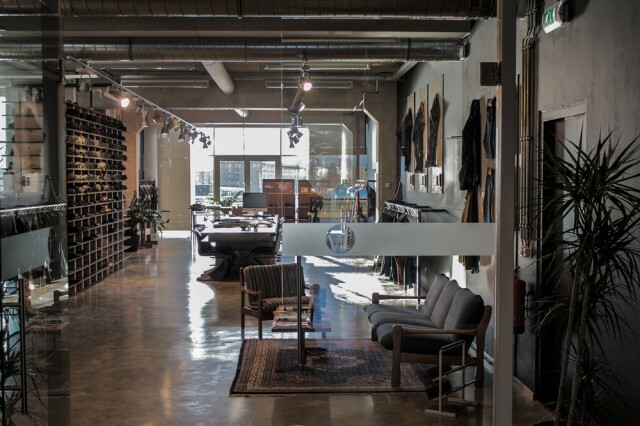 Imagine what would happen when two century-old companies both with histories that stretches back to 1889 find each other and decide to work together and create an outstanding product. 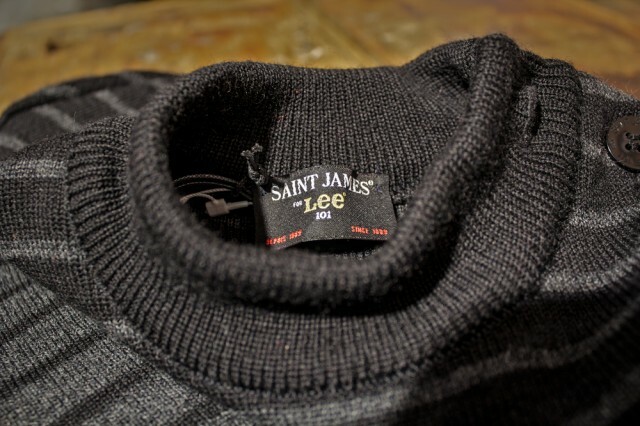 That’s what happened when Saint James and Lee decided to create a limited collection of high quality knitwear consisting of two pullovers, two beanies and two shawls. 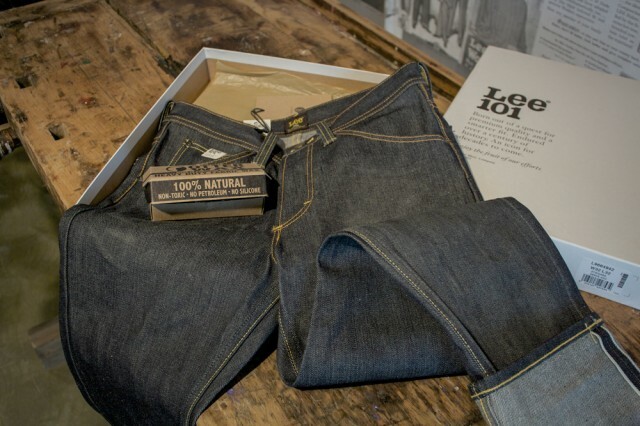 The collection was exhibited at the latest Blueprint show in Amsterdam, but Denimhunters’ Jan den Hartogh stopped by the Dutch Lee office to have a closer look. 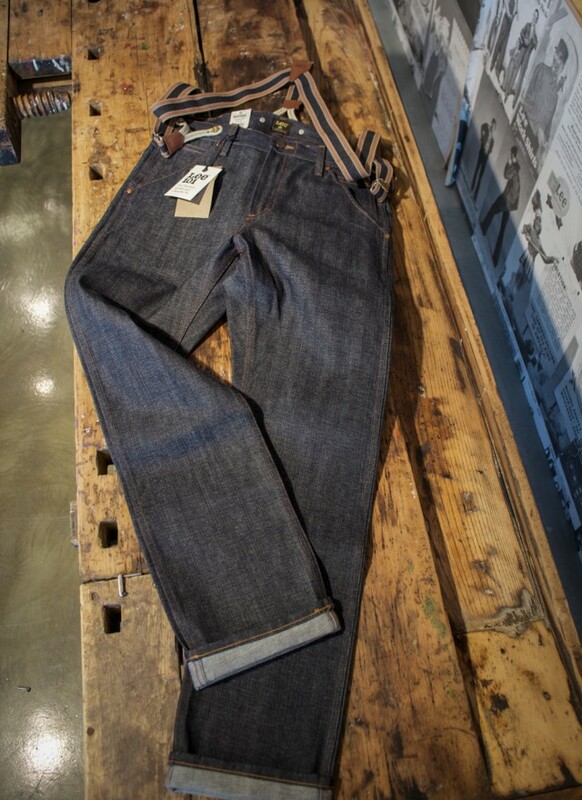 Like H.D. 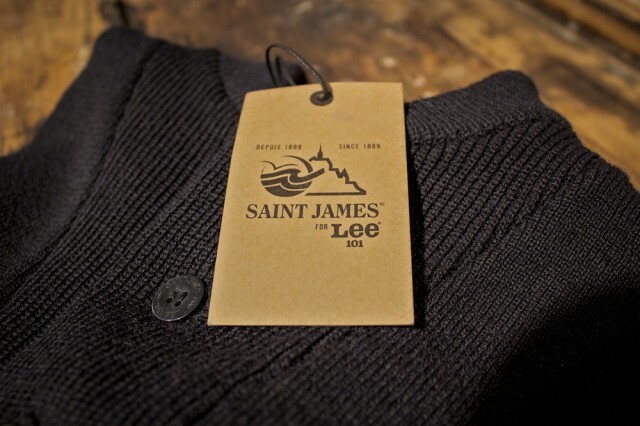 Lee Mercantile Co. the proud french knitwear located in lower Normandy near the famous Mont St. Michel, Saint James was also founded in 1889. 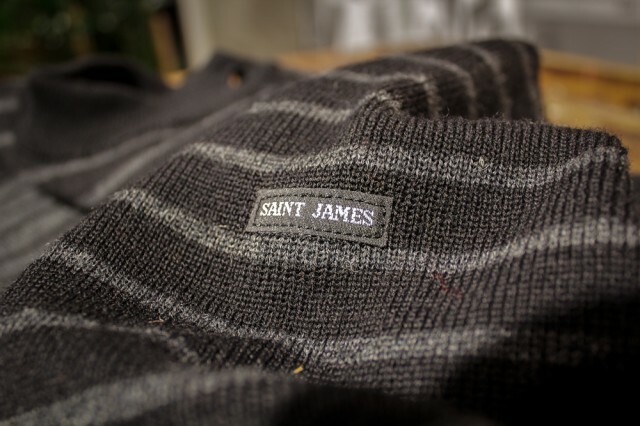 Saint James is well known for their knitted pure new wool Breton seaman’s sweater, originally intended for deep sea fishermen and sailors. 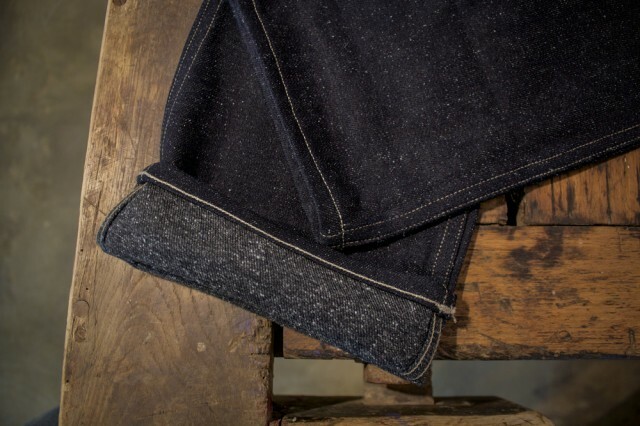 It was the Legallais family who started to dye and spin the locally produced wool around 1850. The skeins and bails of wool were sold in the region of Normandy. 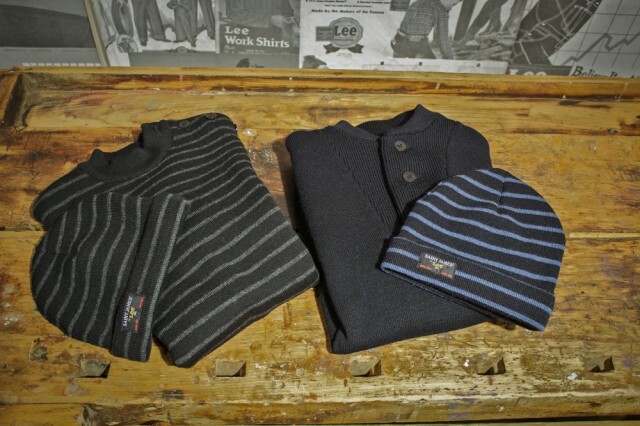 In 1950 the company gave up its traditional activities to concentrate on the manufacture of cardigans and sweaters knitted from pure wool. 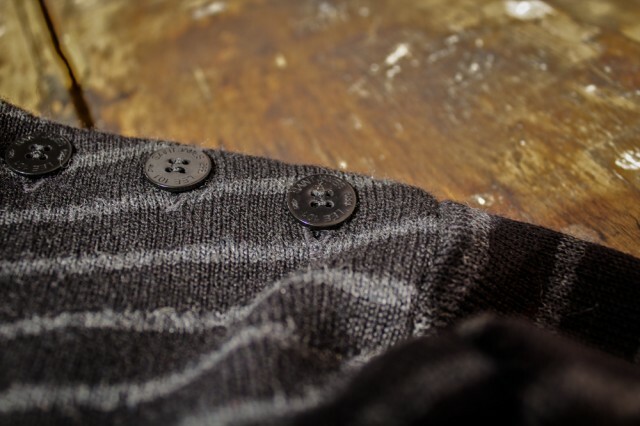 This famous knit is so thick and tightly knitted that they’re considered as ‘almost waterproof’ and with a tight fit these sweaters have become known as ‘the seafarers’ second skin’. 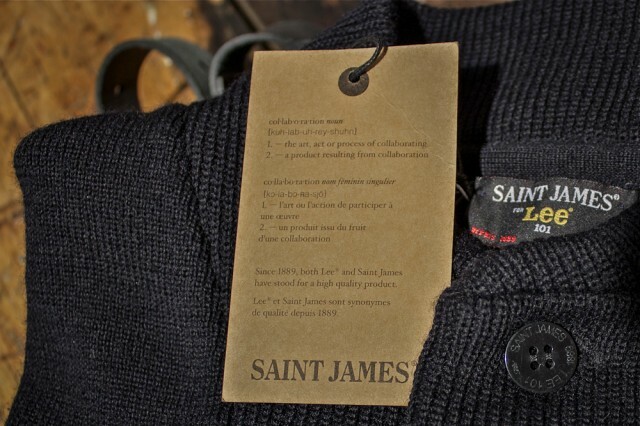 To ensure the highest production quality, each Saint James garment is crafted and inspected in accordance with the following production stages. First of all, the quality of the yarn is inspected, and each batch of yarn must comply with a rigorous series of tests before being knitted. 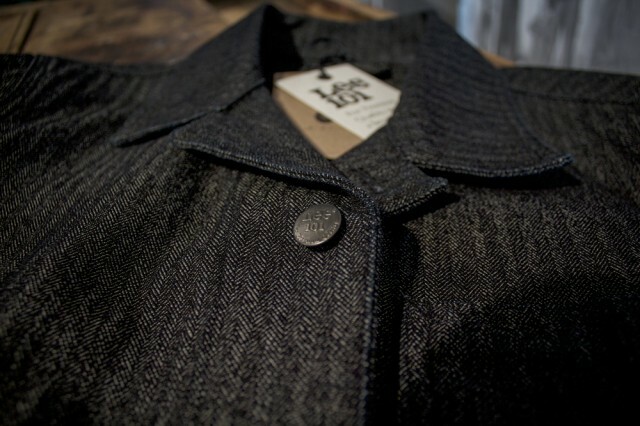 The body (both front and back), the sleeves, the collar and trims are knitted separately but naturally with yarn from the same bath, and the knitted parts are manually burled. 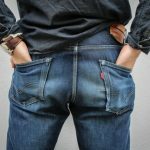 For sweaters, and even more so for jackets, the number of successive operations it takes to manufacture each garment is impressive. When leaving the knitting unit, the knitted parts are size stabilized by a steam spraying process. 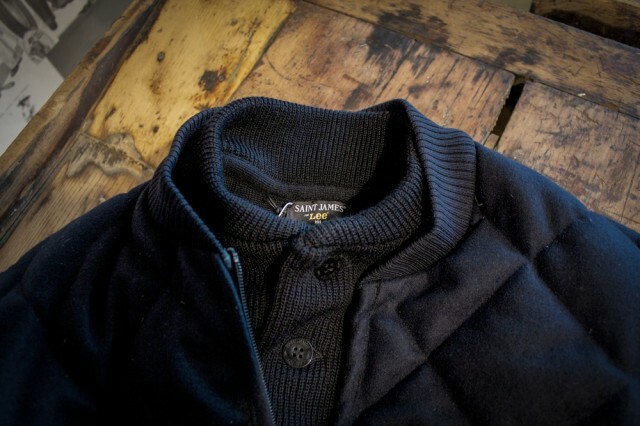 The sweaters and cardigans are assembled with the highest degree operator ‘savoir-faire’ (know how), which has been handed down for generations. 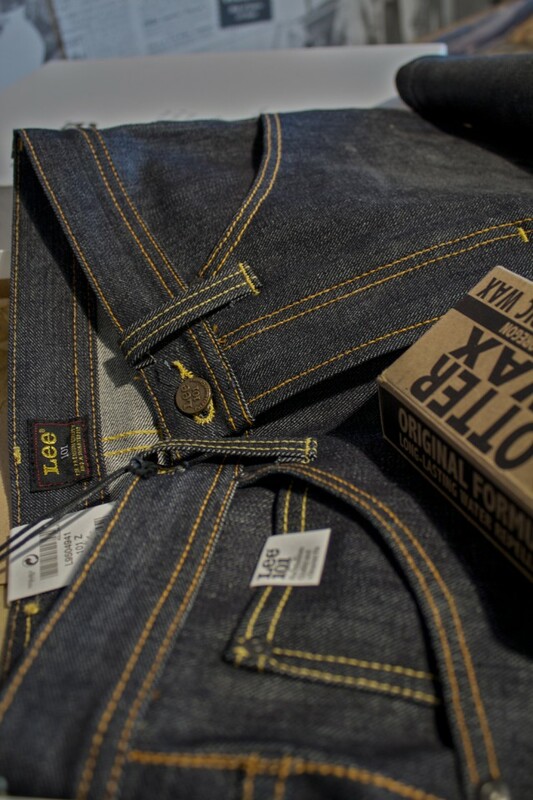 Lastly each garment is inspected and ironed before being packed. 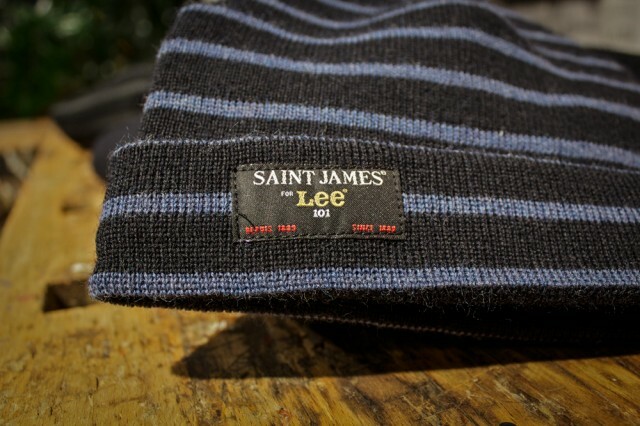 The Saint James knits blend seamlessly into Lee’s denim universe, and while there Jan also took a closer look at some of the highlights from the up coming Lee fall collection. 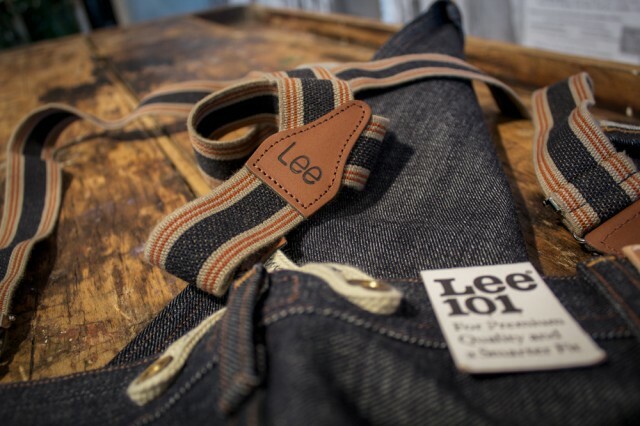 Both Saint James and Lee have a rich history when it comes to workwear, and the new Lee 101 fall collection has several beautiful and authentic pieces with a nod to the past. 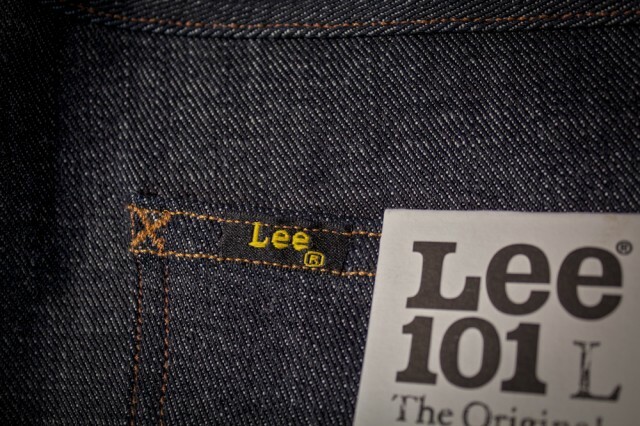 In addition to the Saint James collaboration, Lee also collaborated with Otter Wax on a special edition of the 101Z allegedly inspired by one of the Danish Lee account managers who treated his jeans with Otter Wax to make the denim water repellent. 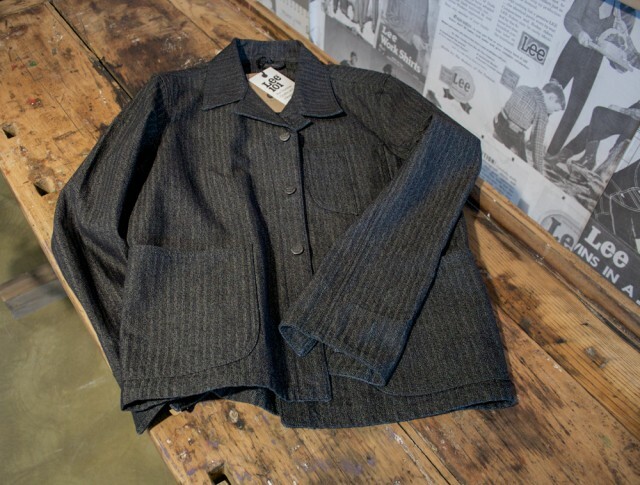 In 1921 Lee introduced the first ‘Railroad jacket’ for railroad workers; for the fall you’ll be able to acquire yourself a copy made from a fantastic grey herringbone twill. 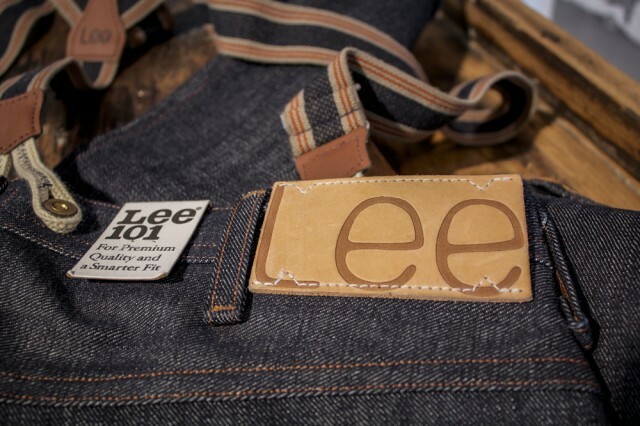 The Lee 101 Logger was named after and inspired by the foresters, but it fits urban lumberjacks just fine as well. 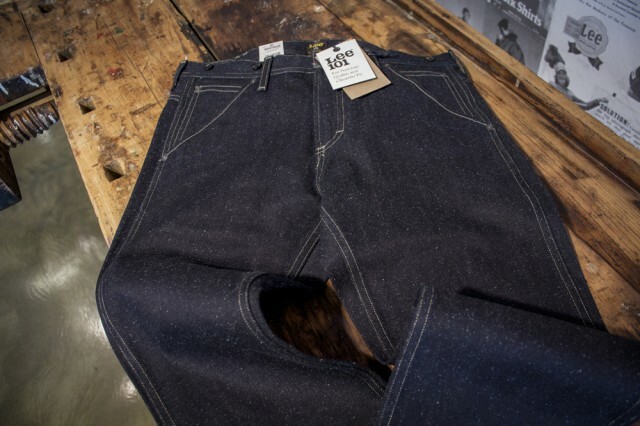 The 101 Work Chino will be available in this gorgeous nipped denim. Photography and words: Jan den Hartogh.